The Fluke 117 is a high-quality digital multimeter from Fluke which is sure to meet your commercial or residential needs in the field or out of it. Fluke simply designs great products, and the 117 is one of the most commonly touted products that they offer, and its small size makes it absolutely perfect for when you need to fit into small spaces. Don’t mistake it for a heavy, industrial model like the Fluke 87V, but if you’re not working on heavy industrial equipment or directly off the main you’re sure to be able to find a lot of use out of this great device. In this Fluke true rms multimeter review, we'll be going through every detail you need to know before you commit to buying. Before purchasing any multimeter, ​it's important that you have a vague idea of the current measurement and voltage measurements of what you will be using the multimeter for. The last thing you want is to get your multimeter home, only to find out that it is unable to measure the high current readings that you want to take. We understand that you need a multimeter to do this, so if you're very unsure - then speak to an electrical professional before you make your purchase. As you can see this particular model isn’t rated for CAT-IV protection, which means you won’t be using it to tap directly into power sources, but it boasts considerable protection for lower energy systems up to 220V. For the average home user, or electrician who doesn't work on very high voltage systems this is more than sufficient. With its lower cost the 117 is a great buy for the serious amateur who’s hobby includes a need for a device to measure electricity. 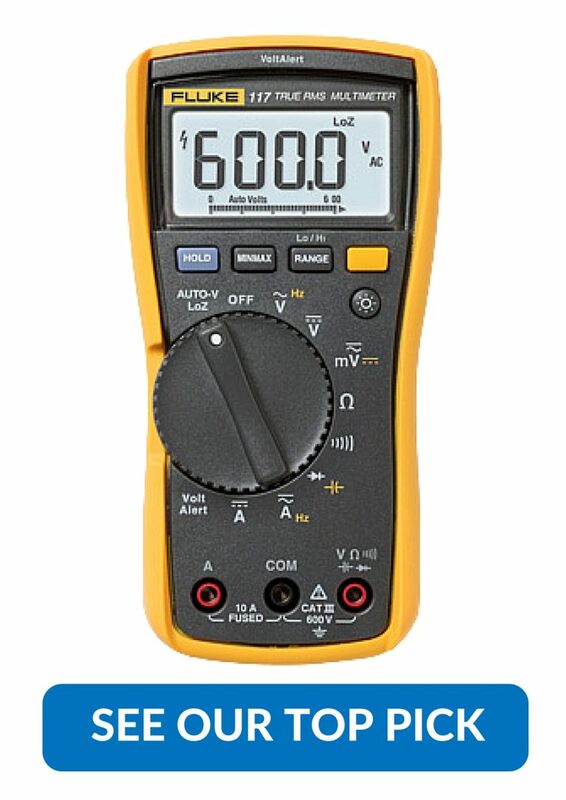 This multimeter has all of the functionality off its bigger, industrial cousins and still boasts more than reasonable accuracy which makes it handy for working with small circuits as well as the usual applications of 110V residential troubleshooting. In addition to its more than reasonable CAT rating, this clever meter also has an automated shut off for amperage overload, it will shut down if exposed to more than 10A for more than thirty seconds which will keep both you and your device safe from the harm which may result. Some of us already know what happens when you attach a cheap device to too much amperage, and the results aren’t pretty and typically leave you with a fused brick of materials instead of a still-functioning multimeter. Those who might be using this fantastic device for working on commercial devices will be glad to know that it comes with both a holster and a magnetic hanger. You’ll be able to read the device and wield the probes in each hand while still being able to easily read the meter. Add in its small size, very bright backlight, long test leads you have yourself a meter which you’ll be able to take and use pretty much anywhere. The shape of this particular Fluke also makes it extremely easy to use it with one hand in the event you can’t find somewhere to hang it, so even when it’s not convenient to hang it you’ll still have less trouble using it efficiently than you would many other meters. You’ll also want to note that it comes with a three year warranty directly from the manufacturer, so you’ll be able to get repairs or replacement done in the event of a catastrophe. The 117 is without a doubt the top multimeter for the serious amateur, We have put it through rigorous testing and it has never skipped a beat. It's extremely easy to use, both in terms of comfort and functionality. You simply cannot go wrong with a Fluke meter. This top of the line Fluke is simply one of the best multimeters available for those who are sure they won’t need to be working in situations which warrant a CAT-IV safety rating. This makes it absolutely perfect for a wide variety of field technicians. The serious home hobbyist or handyman will also be able to get a significant amount of usage out of this device, and it comes highly recommended for those purposes. 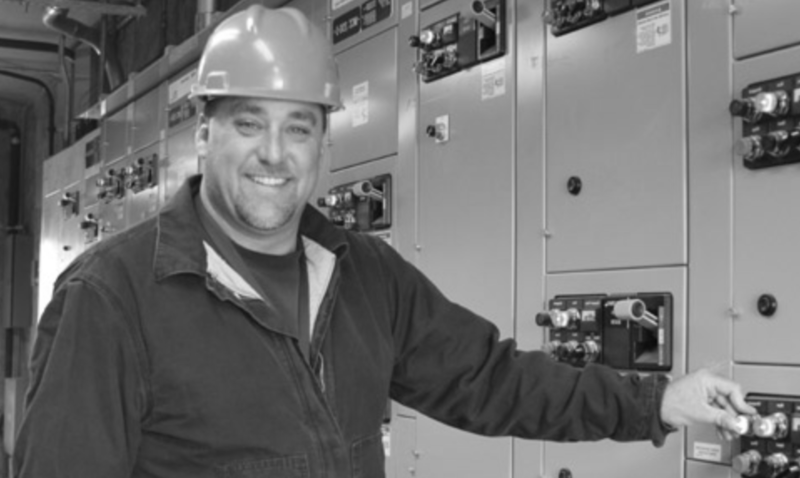 The low cost, significant protection, and outstanding accuracy of the 117 makes this a highly recommended meter for all your electrical test needs. Add in a three year warranty and Fluke quality and nearly anyone who has to work with electricity will be pleased to add one of these handy testers to their toolbox.